103 Wade Hampton Drive is located in the well established community of Royal Pines, nestled on Ladys Island SC. Wade Hampton is a quiet street situated just past Pickens Street. Ladys Island is conveniently located near historic Beaufort and the neighboring town of Port Royal. It is minutes from Hunting Island State Park, and a nice drive to either Charleston or Savannah. This four bedroom, three bath custom home is situated on over half an acre. It has extensive upgrades and additions, making it truly one of a kind. 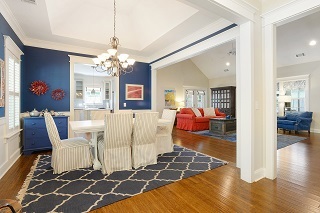 The floors are a custom wood blend, and the vaulted ceilings give wonderful height. 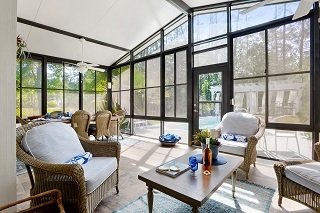 Enjoy the large windows throughout the home, allowing the low country sunlight to shine through. 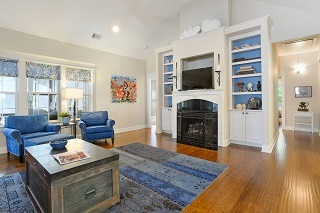 The fireplace is surrounded by built in shelves, and makes an attractive focal point to the family room. The kitchen is upgraded with modern lighting, high end appliances, and granite kitchen island that adds additional storage. The formal dining room is great for entertaining friends and family, and the Carolina room offers additional space for lounging as well as additional seating for any occasion. The master suite is an inviting retreat all its own. It is spacious and has attractive tray ceilings and crown molding. Convenient access to the Carolina room from here, and the ambiance is set by the modern lighting. The private master bath has a brand new soaking tub, tile flooring, and plenty of room in the walk in shower. 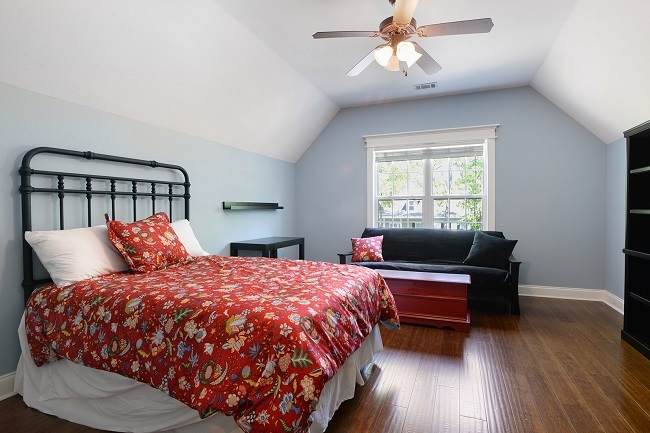 There is a bonus room above the attached garage that can be used as a spare bedroom for guests or family. 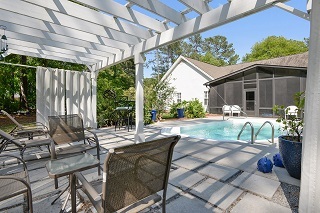 The fenced backyard is an oasis with an in ground pool, large pergola, and covered tiled patio. The landscaping surrounding the home is immaculate and well maintained. 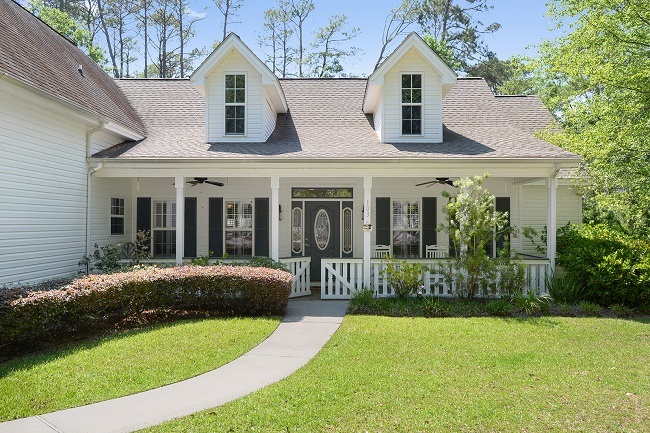 The wonderful community of Royal Pines, nestled on Ladys Island, SC has over 700 acres of breathtaking landscape that holds a pristine 18 hole golf course, over 600 homes, and amenities such as a clubhouse and the Tavern restaurant. There are great nearby public schools such as Coosa Elementary, Ladys Island Middle, and Beaufort High School as well as few private schools like Beaufort Academy that is K-12. Shopping, dining, and the neighboring town of Port Royal are just a short drive away.